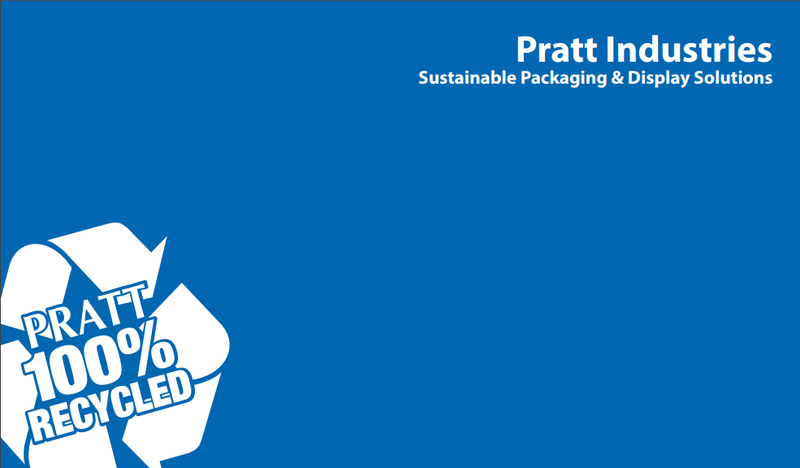 The pages here are usually devoted to the good news at Pratt Industries…plants opened, awards won, milestones achieved. But this week we have sad news to report – the loss of our Chief Financial Officer and good friend David Wiser. David passed away suddenly and unexpectedly last week of natural causes, at the young age of 43. He left behind a family and many friends and colleagues still trying to cope with the tragic loss. But though he might be gone, David will always be a big part of the team here at Pratt. His achievements and contributions to the company will long outlive us all. 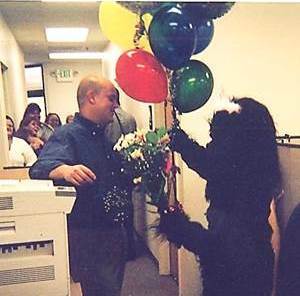 As you would expect, his co-workers shared memories and stories of times spent with him – some funny, some sad, some poignant. But most touched on a few common themes – his keen intelligence; his razor-sharp wit; his work ethic; his love of golf; and his competitive fire. Anthony Pratt, Chairman: Apart from his extremely smart mind, work ethic and competitiveness, David’s number one distinguishing characteristic was his kindness. He never spoke ill of others. I never heard him accept credit for things that he’d clearly done, and he was very self effacing. He was kind to all, and he projected that goodness onto others. If there is a heaven, he would be my Number 1 prediction to be there. I will miss him greatly. A great human being. Brian McPheely, Global CEO: There are so many amazing things to say about David. He was competitive, unendingly honest, combative, humorous, extremely intelligent, hardworking, opinionated, thoughtful, stubborn on some subjects – actually all subjects. And, had an unparalleled love of his family. In moving forward, we are going to miss this wonderful person who challenged us, made us think, debated and argued endlessly. We all loved his ways, his personality, his spirit….how could you not? He was a really good person and my friend. Rest peacefully David. David Dennis, Chief Operating Officer: David did whatever it took at whatever hour of the day or night to get the job done. His loyalty to, and genuine care for our company were second to none, and his command of the important numbers that drive the day-to-day performance and the huge success we’ve enjoyed within Pratt Industries for many years was simply amazing. We have lost a fine young man whom I considered a very close personal and professional friend…I will miss him enormously, but will always remember him and our friendship. DJ Kyles, VP and Secretary: I’ll never forgot those times we got together either for lunch, golf outings or putting contests on the practice green. He was very competitive. He always wanted to win that dollar bill so he could pin it up on his board and put your name on it. Alicia Estes, Executive Assistant: We had a special way of communicating, mostly by arguing as many have witnessed, but we knew each other well enough that we could argue one minute then laugh the next. There are so many wonderful memories I have of him, like the time I rode with David and Dan Dunn to Savannah for a controllers conference. I remember arguing with him about how long the drive was and of course since he was always right, we left according to his timeline. About halfway to Savannah, he decided we needed to stop at Walmart and pick up gift cards. There was one right off the interstate in Dublin, he said. Well, that turned into an hour detour. Once we finally found it, we purchased the gift cards and he picked up a movie as well. We returned to the car and he asked me to drive. No problem, I said. David and Dan crawled into the backseat with their bags of snacks and decided to watch the movie. He had purchased the movie – “Horrible Bosses” (how ironic) and the two of them sat in the back giggling like schoolgirls for the next 2 hours. Of course we arrived over 2 hours late. Greg Arthur, Controller/Financial Reporting: One of the things we do as a finance department outing is to always celebrate birthdays by going out to lunch. The birthday person gets to pick the spot and whoever is available that day attends. For his birthday one year, he decided he wanted to go to Chuck E. Cheese – a kids’ restaurant with arcade games, etc. We thought he was kidding but he was determined that’s where he wanted to go. When we got to the restaurant, the staff asked where the child was who was having the birthday and we all pointed to David. He turned red and everyone was laughing including the staff. He was very competitive and challenged everyone to the various games and got annoyed when he wouldn’t win. At the end of our time there, he gave all the tickets we had earned from the various games to some other kids who were there in the restaurant so they could redeem them for prizes. Dave Harmel, Division Controller Mills and Corrugated Logistics: David was a little competitive (the notorious David Dennis racquetball showdown or his ping pong match with Myles Cohen’s wife’s at Brian McPheely’s house). Win or lose, David was always up to the challenge and not afraid of what people thought. David was truly one of a kind. Myles Cohen, President of Recycling: Many individuals who are extremely intelligent, as David was, are arrogant, egotistical, conceited, or smug. That was NOT David Wiser. Truly a “regular guy”, David did not let his intelligence allow him to be unapproachable. He had a keen sense of humor, and enjoyed poking fun at himself as well as others. Some people could “dish it out”, but have a hard time “taking it” from others. Well David was NOT that person. He actually valued the traits of others who had the sense of humor and ability to make jokes about David Wiser…in public…and he actually enjoyed it. It is truly a sign of David’s intelligence and self-confidence. I remember my first big presentation in front of a large audience at Pratt. I planned somewhat of an educational presentation, but using a fair amount of humor. I decided to take a chance and use David as my “subject” for a humorous part of my little dog and pony show…a quiz for the audience with the prize being a roll of toilet paper with David’s picture printed on it. It was really a big risk for me but it was a hit and David loved it and talked about it for many years after. He always told me it was the best presentation he had ever seen. Tom Priest, VP Sales & Marketing: I was just hired by Pratt in March. In June I was walking out of the executive offices with a box sample for a customer and ran into David. He smiled at me and said: “Wow!” I was puzzled and said what? He replied: “Man you’ve only been here 3 months and I’m surprised you made it that long.” Then I realized it looked like I was taking my personal things home in a box, like I had been let go. I started laughing and David told me to go sell something. Troy Faircloth, Director of Treasury: I cannot easily narrow down my thoughts about David. He and I worked closely together for the past 15 years. We spent time together outside of work. We were colleagues, but more importantly, we were friends. David was such a caring man, though on the surface he tried to hide that fact. His low-key attitude belied the high level of intelligence and wisdom he possessed. He was one of the most genuine people I have known. I will miss him greatly. Amy Mager, Payroll Clerk Valparaiso: David was leaving us in Valparaiso and going to go work down in the Corporate office in Georgia. We were throwing him a going away party – which he was late to because he was waiting for the moving truck at his apartment to gather all of his belongings to move to Georgia. The truck showed up and took ALL of his belongings and headed to Georgia. He came into work to say his goodbyes to us. The new controller we had to replace David went to lunch and never came back. He quit. David then had to stay on for a few months with no belongings……we just all had such a laugh at his expense of course. We kept telling him that it was a sign that he needed to stay here in Valparaiso. He would also say to us “a monkey could do your job”…it was all in fun. He will be greatly missed by his Valparaiso Family. Bob Herb, President Corrugating Division: I don’t think any of us really understood the amount of work that David was responsible for within a company that is growing as fast as we are. I received a lot of summary reports from David well after normal working hours. He always took the contrarian approach in our discussions which was his role. In the end, he did what was best for the company and always managed a wry smile regardless of the situation. Steve Webb, Projects Controller, Corporate: It seemed like David could not play a round of golf without some sort of bet. Several years ago I ended up being paired with David in one of those. I don’t believe I was his choice but because he had made the comment that he could win with anyone as his partner – and knowing my lack of playing ability – the opponents chose me. That first pairing and the fun we had led to many other matches together at other functions. The problem was he would watch me swing and point out about twenty things I should change – all at the same time. But we enjoyed our rounds together and I heard him say how much I “sucked” at the game almost every round. This time with him inspired me to improve my golf and I have been working on going to a golf school this winter to surprise him next spring. I still plan to take those lessons. Colleen Yates, Assistant Controller Valparaiso: David had a rubber band ball that he would throw against the wall every time he wanted to get my attention. He didn’t really need anything, he just liked to see how much he could irritate us. Greg Hlozek, Controller/Financial Reporting: I always looked forward to my interactions with David as I knew I would leave them either smiling and laughing or much more enlightened – and most of the time both. David had many good qualities about him and was naturally someone you wanted to be around. I am fortunate to have known him and treasure the memories. Sylvia Keels, Travel Manager: David’s humor and boyish smile is what I already miss! Many memories that make me smile. Mike Tansey, Regional President: David was fun to work with. He had a certain wit about him that got to the point in a fun way. He challenged you every minute of every meeting. I will deeply miss my friend. Kathy McCoy, Corporate Accountant: Several years ago I was working at Corporate Finance as a contractor – it was in the works to hire me on as a permanent. A group of us including David were in the boardroom for a birthday celebration. As people starting leaving some of us started playing our version of “Survivor”. It came down to four people and my turn to vote someone off the island – so I voted David off – he was the most competitive person and the final person to approve if I was to be hired full-time or not. He was not happy, but he did still hire me! Wayne Villis, GM Operations: I worked with David for seven years since moving to the US from Australia and had many a night debating, discussing and joking around over a beer. I have a great admiration for what David has done and what he helped Pratt achieve during that time. I was also lucky enough to consider David as a friend. I am saddened to think we will not get to enjoy these times again. My heart goes out to his family. My short time spent around David has had an impact on my life that I will always remember. Bob Young, GM Valparaiso: David was the key to the stabilization of the Valparaiso facility and challenged the accounting team to become a solid financial department – it worked. 90% of that group is still functioning admirably today. He established systems and controls within the plant still utilized in the operation. His knowledge of the operation continued to yield results and assistance even after his move to Conyers. Shelia Smith, Tax Manager: David liked to go to Hooters sometimes on Friday after work. One Friday I needed him to stay until some returns arrived by courier to be signed. He told me I had until 5pm. At 5pm the courier had not arrived, so he went to Hooters. The courier finally delivered the returns, so I called David and asked him to stop back by on the way to his lake house. He told me to bring them to Hooters if I wanted them signed. So, I took returns to Hooters and he signed them in the parking lot. Tom Stoskopf, Treasurer: David was patient enough to bring me on board from the Love Box group 8 years ago and frequently impatient enough to make me grow quickly. He was the voice of reason in trying times, with a focus on what was best for the company. Regardless of how tough things got, you knew he always had your back. Chris Stanton, President Specialty Division: I will always remember David for his canny ability to bring humor into the toughest circumstances. When things got too tense, you could always count on that dry humor to break the tension. But David also used humor to challenge people’s depth and knowledge of the topic at hand – which provided the perfect balance in the business world. I unconditionally trusted David. Danielle Roszko, President NA Supply Chain and Logistics: Through his wit David had a unique way of bringing out the best in people. He always expected people to be their best whether it was at the office or (for me) on the golf course. He has been an informal mentor for several of us in the business and is a big part of our success today. David’s competitive spirit was like no other and he will be greatly missed. Bob Borkowski, Director Operational Excellence: You could always count on David’s ability to look at a problem and ask the correct questions to help come up with some answers to those questions. His ability to pull apart the numbers was uncanny. His help in all the segments we worked together on over the years helped push me deeper for an absolute answer. I will truly miss his help and guidance. 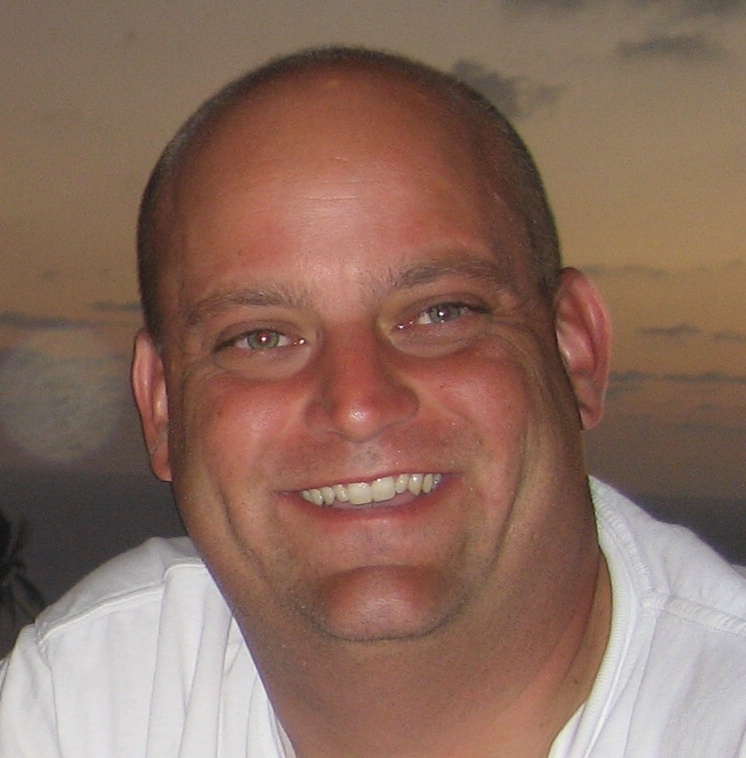 Dan Dunn, Asset Manager: I will miss my boss, my golf buddy and my friend and brother. I will always cherish the lunches we had together, the after work beers at Hooters, the annual trips to the Masters and Palm Springs and all of the golf matches and time that we shared. As I learned not so long ago from a priest at another funeral, it is not goodbye but more of “see you later” – as we will be reunited one day soon. So rest in peace David. See you later.